See the SwimMirror in action. 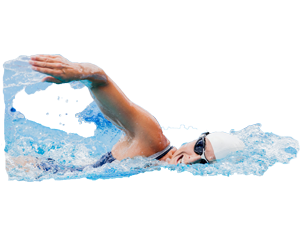 Improve your swim strokes in real-time by seeing your technique while you practice. No construction or extra attachments required. Simply put it down and start swimming. Just rinse and air dry for future use—no extra work is needed for SwimMirror upkeep. 45.5" x 28" x 0.025"
See how easy it is to use our underwater swimming mirror! I know firsthand how difficult it is to make adjustments to your swim stroke based solely off of a coach's advice. SwimMirror allows you to see your movements in real-time so you can improve your technique right on the spot. 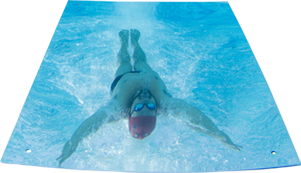 SwimMirrors are a great tool for swim coaches and swim instructors. 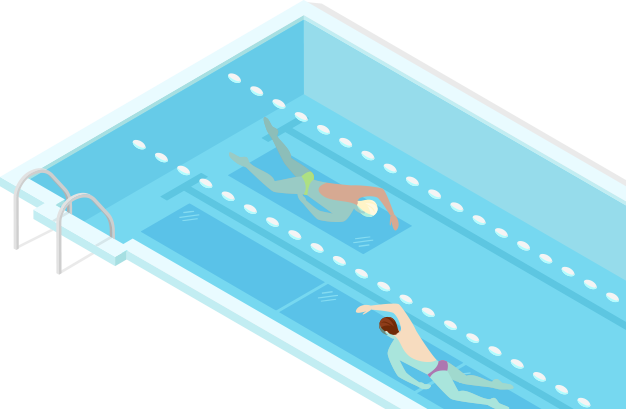 They provide instant feedback to the swimmer while working on a variety of critical skills. They are also fun! Swimmers love them. We are really getting great use out of SwimMirrors. They’re easy to setup and easy to store. Our swimmers love them. For our business we use them for mommy and me classes trying to encourage babies to go underwater to look at themselves, our 3-5 age group to help them with body position in the water, and our elite level for higher stroke technique. With SwimMirror, seeing really is believing. Improve your swim training with your own pool mirror today! For 10 units or more, we offer custom quotes. Have a question or want to know more about SwimMirror? Give us a call at 800-432-3423800-432-3423 or fill out this form and we'll get in touch with you right away. © SwimMirror 2019 | We value your privacy. | View our Refunds & Returns Policy. | Website by Dream Factory | California Proposition.